This gentleman distributes puffed rice for birds. 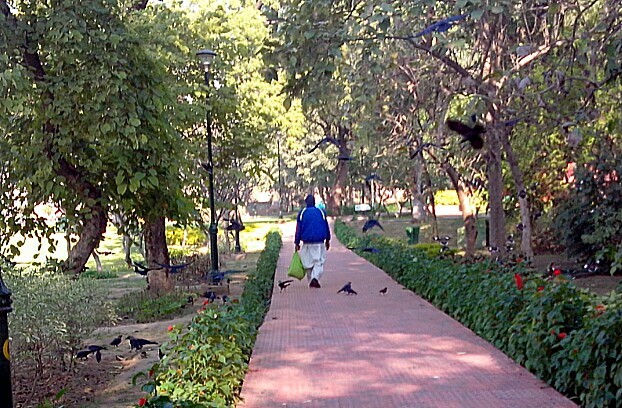 See how crows are thronging around him. Birds are so few now a days, in New Delhi.